Painting our front door took us from classic coastal, to rustic holiday with just a few flicks of my wrist. Well, more like three coats, but who’s counting?! 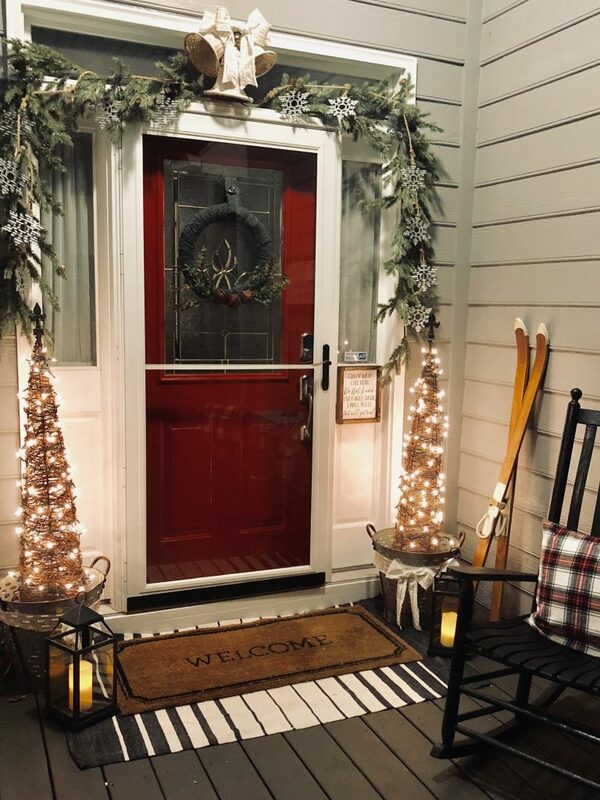 When I told my husband I wanted to paint our front door to go with our holiday decor, I think he thought I had finally lost my mind. Then the more I asked around, I found that I actually wasn’t alone in my thinking. He asked me what color and when I told him red, he wasn’t really sold. 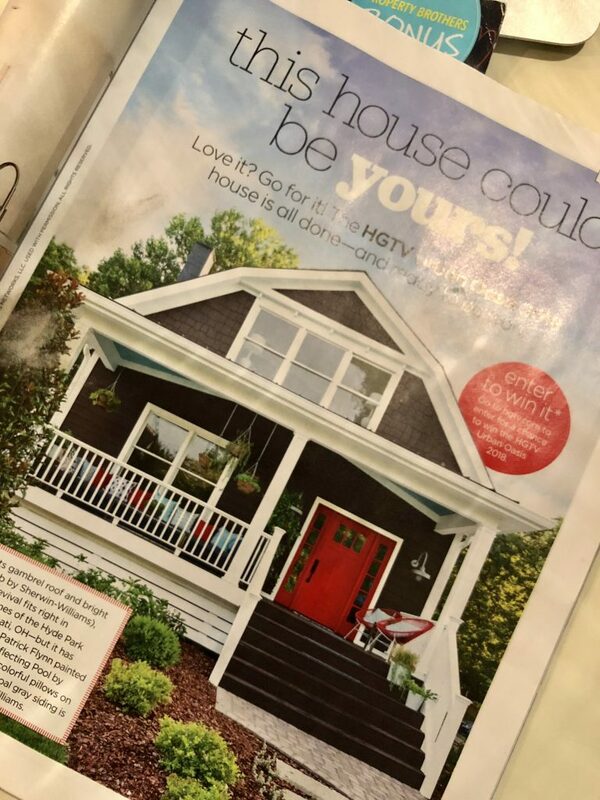 My husband is a visual person and I had nothing to show him, until I was flipping through HGTV magazine. Thankful for the HGTV Urban Oasis House for the inspiration for the front door. Like the HGTV Urban Oasis of 2018, our home was also a dark gray with white accents and an aqua blue ceiling. Where our house had a coral door, this house had RED!! While I LOVE this color coral, I wanted something new. After a little bit of begging and showing him the picture… repeatedly, he finally agreed. Let me just tell you this is where the story almost came to a screeching halt. I didn’t bring the magazine for the exact color, rookie mistake, and I could not find the right red. Thankfully my husband had come with me, but I’m sure at this point he wished he hadn’t, because my attitude was starting to match the color swatches in my hand. The kids were getting hungry, I had a deadline to meet, and for the life of me I couldn’t figure out if this one was too “purple” or that one was too “orange”. Then out of no where, my husband hands me the swatch “Quite Red” and I’m sold. We asked the paint man to mix it up for us. Mr. Paintman hands it to me and says “well that’s a very pretty red you have there.” To which I tell Mr. Paintman that I’m painting my door for Christmas and he responds “that’s perfect then you can paint it back in the spring!”. Mr. Paintman totally got me and I couldn’t help but flash my husband the “see I’m not crazy after all” smile. In between coats of the new red front door paint, I sewed pillow covers, hung garland, and set out what I consider our rustic holiday porch. I wanted touches of Christmas, but I also wanted a look that could carry me well into the new year and even the first few months of winter. 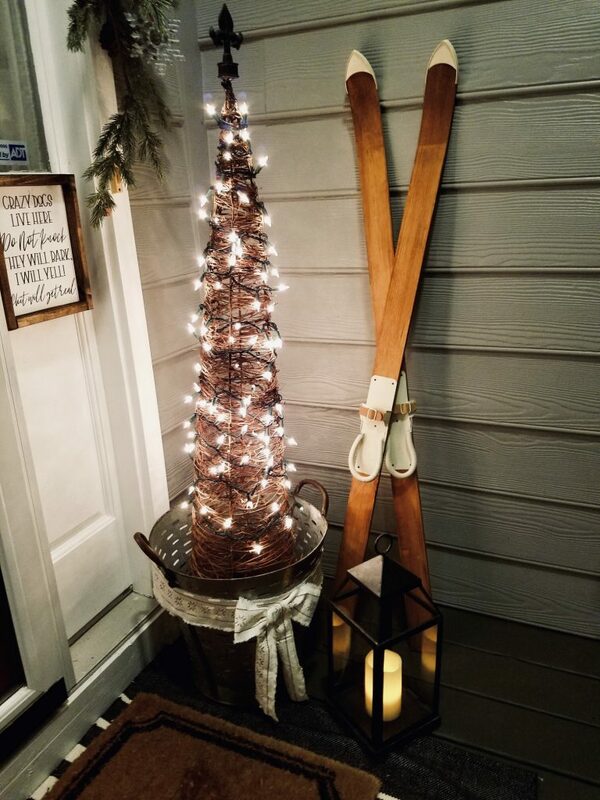 Using a lot of faux greenery, galvanized metal, and rustic ribbon all pulled this rustic holiday porch together. 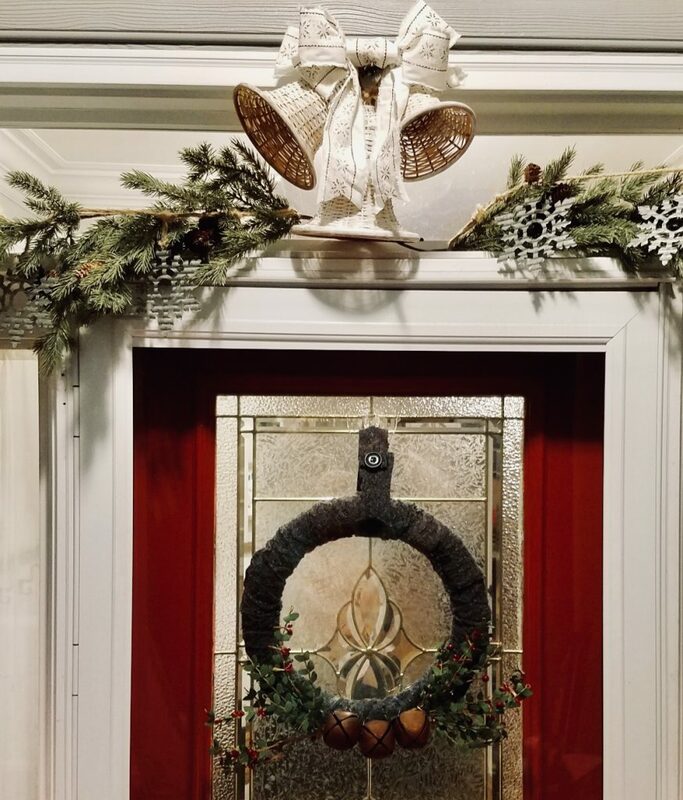 If you look, the wreath I made for the first week of the Deck the Home Holiday Blog Hop is now on the newly painted door. My wreath and the bells were both made from thrift store finds. Here’s a look at the bells I bought from the thrift store before. These were the bells I found at the thrift store before I gave them a facelift. I think one of the reasons I love having a red door, is what the red door symbolizes. In Feng Shui and in old early American times it means “welcome”. It also serves as a symbol of protection and safety in biblical times and along the Underground Railroad. I want all who come to our home know that they are welcome and safe. While in Scotland it is a symbol that your home is paid off, it does not mean that for us at the moment, but hopefully one day. Paint is an easy and inexpensive way to update a space. I don’t think it will ever get old what a nice new coat of paint can do. Paint alone has transformed more spaces over the years than any major renovation project alone. Yes, it may seem a little crazy to paint your front door to make decorating easy, but for us it totally works. Who knows, maybe it will stay longer than this Christmas and winter, maybe I’ll paint it back. Guess we’ll have to wait and see. I am in LOVE with the new front door color. I made those pillows too!! 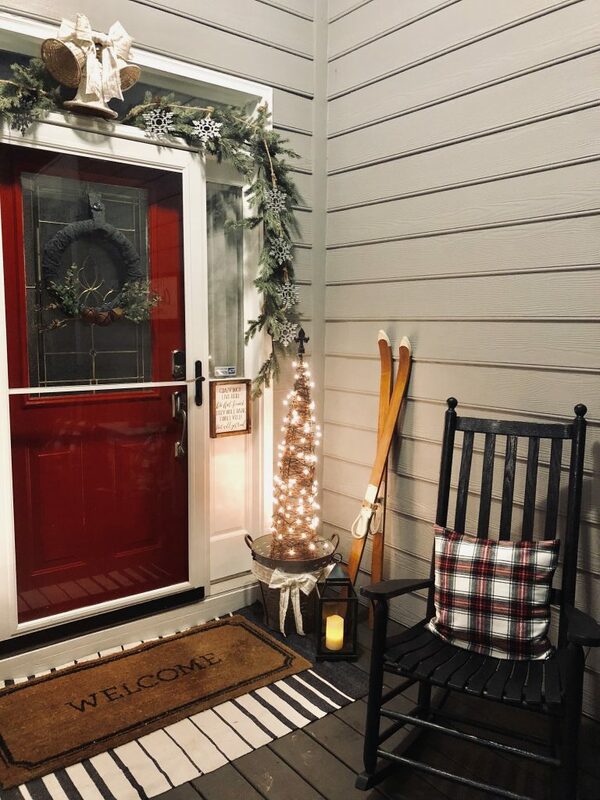 Don’t forget to check out the amazing porches for this week and the Deck the Home Blog Hop! Brooke, I love your porch so much! And I love that you painted your door to go with the holidays hahaha!! Also, where did you get that sign for the doorbell? I definitely need one!! The dog barking, makes me yell, which wakes the baby up… crazy crazy over here! Thank you Eileen!!! The sign is from Spruce and Spice and you can find her on Instagram. Emily has a ton of really cute and funny stuff. 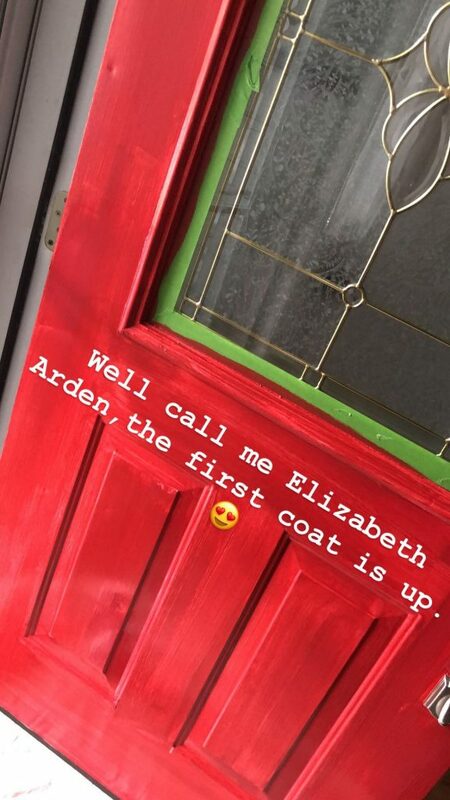 The door looks absolutely gorgeous! Looks great! 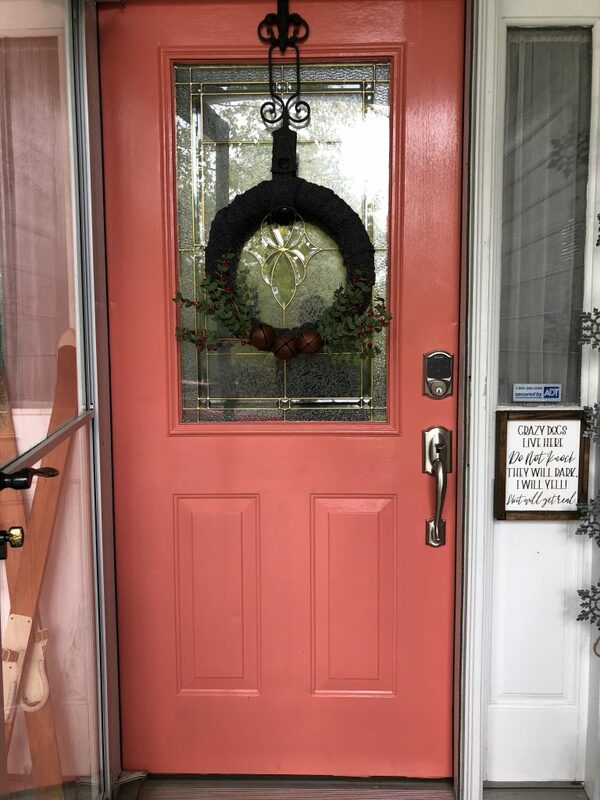 And it is not crazy to want to paint your door to go with the holiday decor! Your porch is beautiful, I really like the red. 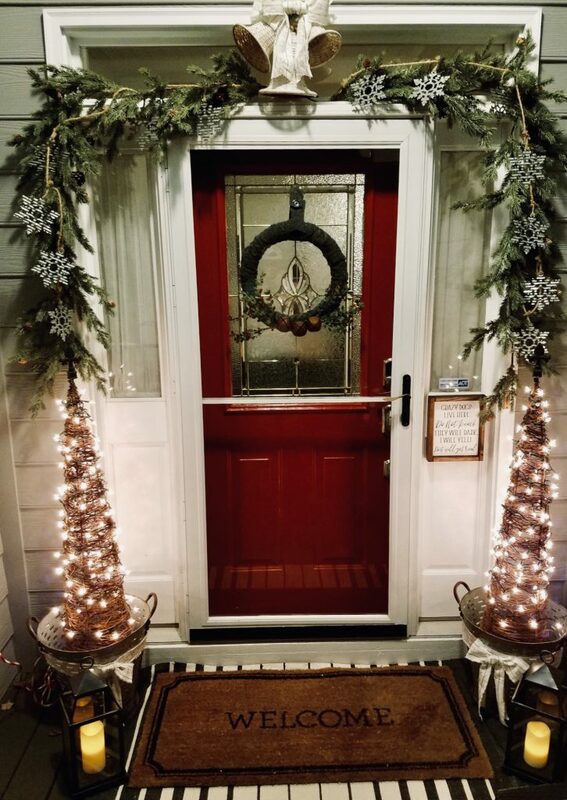 I don’t know if I could change my door for the holidays but seeing yours….I don’t know, you got me thinking. I love the red door! I’ve considered painting ours red before, but have just never done it. Your whole porch looks great! I love the more neutral look! Thank you Amy!! I’ve been super excited to decorate it this year. A red door is just so perfect for Christmas! It’s amazing how a little change can make things so new and fresh… plus the greenery is beautiful! Love the updated red door! 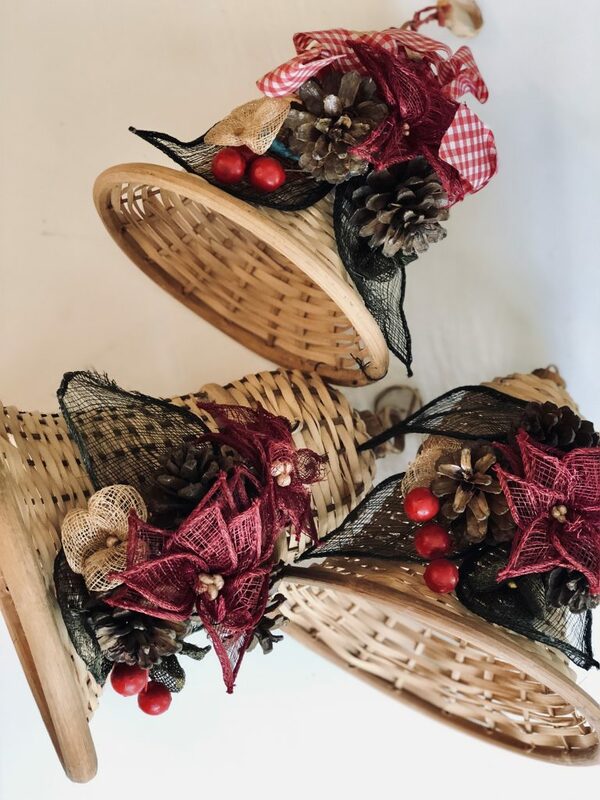 Looks great with your Christmas decor! Thank you Patti, I am so glad I just went ahead and painted it. This is BEAUTIFUL! The color you picked for your door is perfection! Thank you Jessica, I am in love with it! I love the red door! I also love that your paint man gets you!